Toyota Kirloskar Motor (TKM) rolled out its annual Remember December campaign consisting of exciting benefits to bring a year-end cheer to the customers in line with the company’s consistent efforts towards enhancing customer delight the company has announced the special offerings on select models across Toyota dealerships in India. The company is extending its gratitude to loyal customers with the special sales campaign. Commenting on this yearly campaign, N. Raja, Deputy Managing Director, Toyota Kirloskar Motor said, “It has been our constant endeavor to offer the world class quality, comfort and unmatched safety to our customers in terms of all our products line up and after sale services. 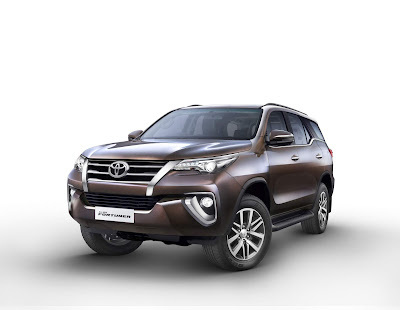 Toyota products have been appreciated time and again by customers for the low cost of maintenance, high resale value, long lasting durability, safety, quality and excellent performance. To further enhance the joy of ownership in the year end, we have introduced exciting offers under the Remember December Campaign for Toyota customers. In line with our philosophy of ‘Customer First’ there will be attractive offerings like -buy now and pay in March 2019 on the newly launched Yaris with additional benefits of upto Rs 1,00,000. There are benefits on other models too with up to Rs. 1,10,000 on the Corolla Altis and upto Rs. 45,000 on the Fortuner. There are benefits of up to Rs. 38,000 and Rs.23,000 available on the Etios and the Liva respectively. Toyota is also offering special benefits for Government and Corporate employees. All customers can avail these benefits until 31st December.